Our facilitator for this month is Cecilia Sicam. 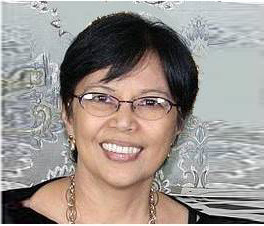 Cecile Sicam is one of the 11 original founders of the Autism Society Philippines. She has served ASP in many capacities, as Secretary, President from 2001 to 2004; Vice President. Cecile has been teaching children with special needs for more than 2 decades. She taught SpEd for three years Santa Clara County, California; and upon her return resumed her position as Program Coordinator of Bridges Foundation Inc. She served as BFI's Directress from 2010-2016. She was her son's job coach upon his transition from school. Her adult son, Likas, has been employed for more than a decade. Now retired, she is currently ASP's Board Secretary, Education Committee Head and Project Manager of the Homepowerment Project. Sign up for the Family Support Group via the on-line form below or call +632 903.5496. Only 15 seats are available.